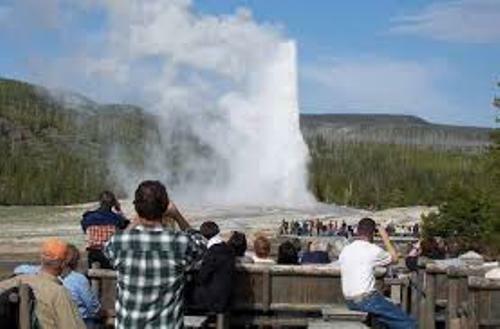 If you want to know the information about one of the famous attractions in America, you have to check Old Faithful Facts. Many people love to visit it because of Old faithful is one of the recognizable thermal features in the world. But it is not linked with other thermal features in the world. Check the following post below for more information. Even though Old faithful is an interesting object to view, you have to be careful with its eruption. In average, it erupts each 91 minutes. But the scientists find out that the interval of the eruption is increased because of the level of water. If you want to view the Old Faithful, you can go to Yellowstone National Park. Each year, many people go to the Park to view the fabulous Old Faithful. Washburn-Langford-Doane Expedition discovered Old Faithful in 1870. The geyser was viewed when the expedition team wanted to go to Upper Geyser Basin along The Firehole River. Old Faithful amazes the people because of the natural phenomenon on the geyser. You can see the hot water spewed to the air in the height of 145 to 185 feet. It is quite a surprising fact to know that the men of General Sheridan used the water from Old Faithful to do their laundry in 1882. The men found out that the hot water in the geyser could clean the cotton and linen garment well. But the water was not good to wash the woolen fabrics. 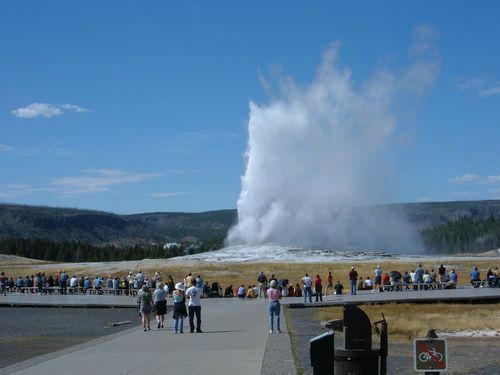 You can view the Old Faithful in a safe place when you visit Yellowstone National Park. In 1942, the water temperature in Old Faithful was 244 degrees F.
There are many other popular attractions in Yellowstone national park. After you visit the Old Faithful, you can go to Hebgen Lake. This lake is good of the people who like fishing. 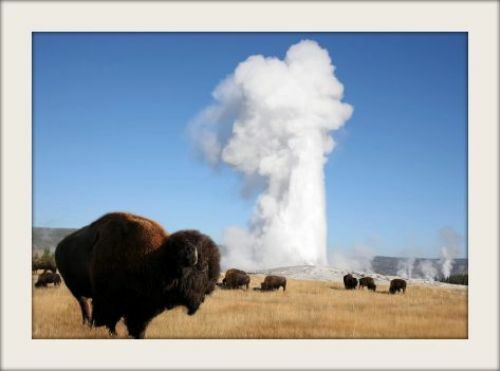 Find out Yellowstone national park facts here. Let’s find out the exact location of Old Faithful. You just have to go to the Upper Geyser Basin, Yellowstone National Park. It is situated in Teton County, Wyoming. 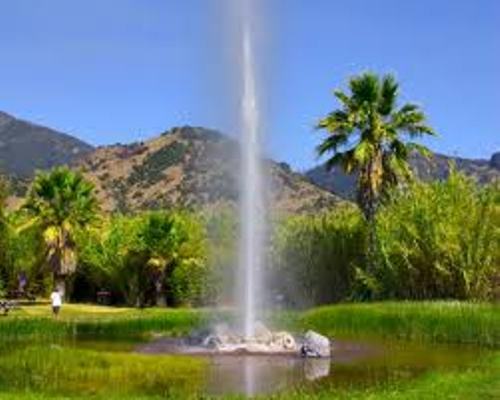 The geyser sits on the elevation of 2,240 meter or 7,349 feet. Old faithful is a unique geyser. It is included as a cone Geyser. It has the frequency of eruption at 45 to 125 minutes with the duration for 1.5 to 5 minutes. There are at least 137,000 eruptions of Old Faithful recorded till this present day. Do you know Old Faithful is very famous in America? It is due to the fact that Old Faithful has large eruptions, small eruption windows, beautiful eruption and high frequency of eruption. What do you think on facts about Old Faithful?